Need more apps for your favorite device? iOSnoops can help! 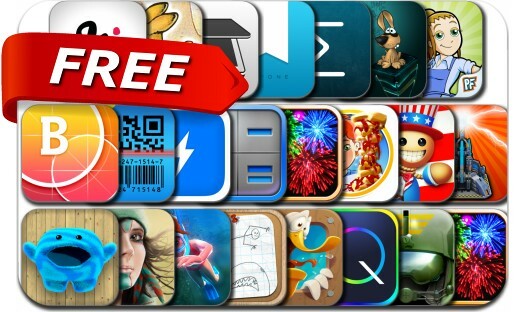 Here are 23 iPhone and iPad apps that have just gone free. This apps gone free alert includes Day One, Diner Dash: Grilling Green Deluxe, iScanner, BubbleFrame, Flash Reader, Real Fireworks Artwork, Calculator Expert, Day One, Flash Reader, Aquamarine, Pilot's Path, I.Q. Test, Kick the Buddy: Independence Day and many others.